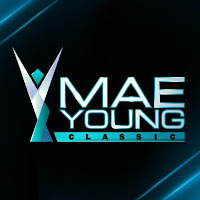 WWE has booked Vernice Gabriel from The Philippines for The Mae Young Classic, according to PWInsider. The tournament tapes in early August from Full Sail University and airs later this summer on the WWE Network. WWE confirmed the first two entrants this week - former WWE Divas Champion Kaitlyn and WWE NXT Superstar Rhea Ripley. When life knocks you down try to get back up smiling. No matter how hard things seem there's something bigger in the end. Tryna encourage myself because things are really testing me rn. Solemate . . Watch the full match on youtube! Subscribe to @sgprowrestling 's youtube channel for great matches too. https://youtu.be/yp_8e8CJIHc . . @devo_ks_iwf ????? ?